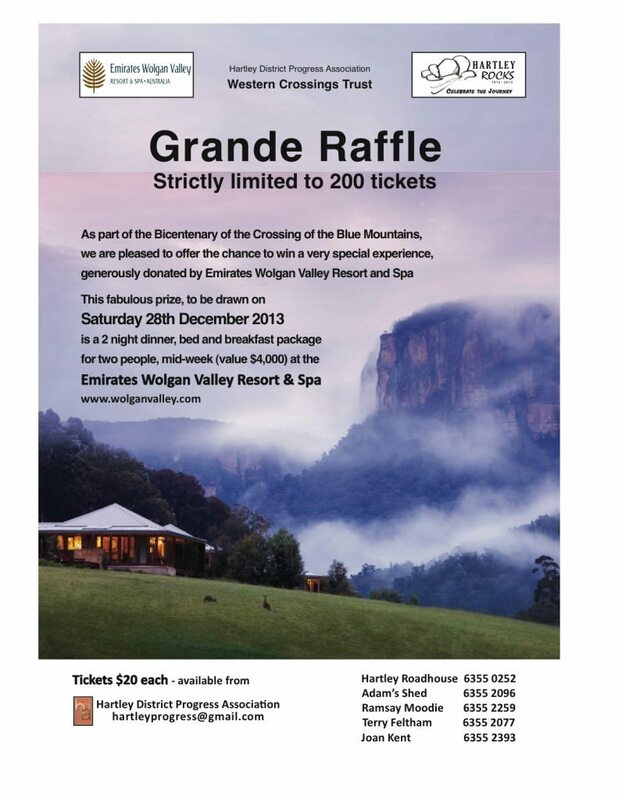 When Hartley District Progress Association worked on the exhibition for the Bicentennial Crossing of the Blue Mountains, Emirates Resort offered us a sponsorship in the form of a mid week stay at Wolgan Valley for us to do with it what we liked. The committee has decided that it should be offered as a limited ticket raffle. Quite an opportunity for a $20 investment to be drawn on 28th December. Only 200 tickets on offer! Tickets available through the Adam’s Shed or contact hartleyprogress@gmail.com, though they may be already sold out. The Raffle will be drawn on Saturday 28th December at the Old School in Mid Hartley Road by Mrs Val Morris at 11 am. All interested persons are welcome to attend.